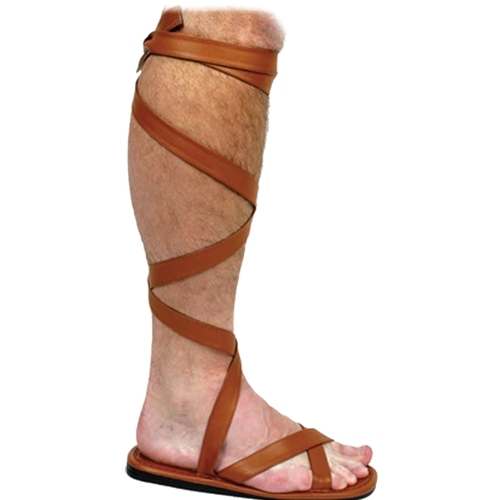 Brown vinyl sole with vinyl straps to wrap around leg. Black ties included to secure straps at top of calf. Available in Medium (10-11) or Large (12-13).